This is a special invitation to all our readers to spend a few days with the people of Hasankeyf from May 26-29. Each year approximately 1 million tourists visit Hasankeyf, but the vast majority spend at most two or three hours here. They climb to the top of the castle, admire the view and stop for tea and a snack in a cafe overlooking the Tigris. And then it's on to Midyat for the afternoon and Mardin by nightfall. The people of Hasankeyf will soon be forced to leave their homes, possibly within 12-24 months, as the government prepares to flood the area as part of Turkey's fourth largest hydro-electric project. They shouldn't have to face this trauma alone. Come to Hasankeyf and bring your friends. On Saturday and Sunday, May 26-27, we'll explore the archeological monuments, gardens, canyon trails, and cave churches and mosques in and around town. If you can stay through Monday and Tuesday, May 28-29, please join us for longer hikes in the canyons along the Tigris and visits to nearby villages like Karaköy and Uzundere. You will also have the chance to drink ample glasses of tea and talk with the local tradesmen and merchants who gather in the tea shops along the main market street. Once the conversation warms up, you'll hear things about life in Hasankeyf that, unfortunately, are barely noted in written sources. Please spread the word and contact us with any questions. Subsequent get-togethers in support of the people of Hasankeyf include a bicycle festival, June 10-11, and a documentary film series, September 6-9. 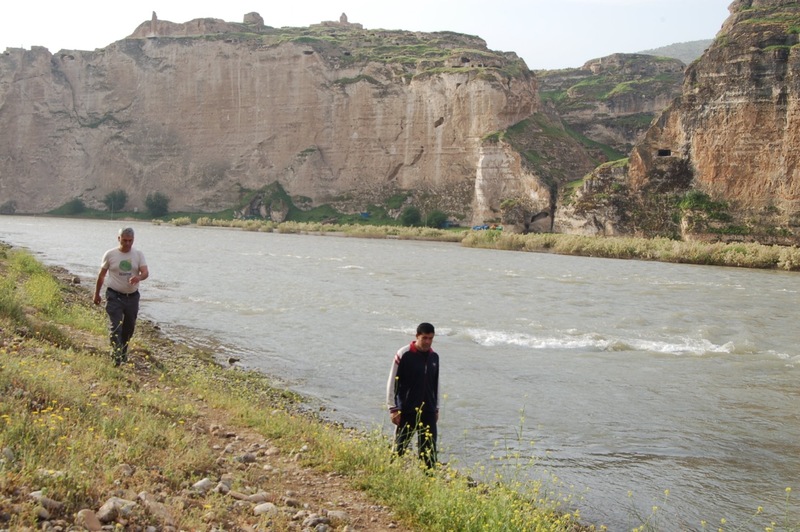 In addition, on May 21 and 23, a group of Marsh Arabs from Iraq will be visiting Hasankeyf to protest the Ilısu Dam. That event is being organized by ECA Watch, Doğa Derneği, and Nature Iraq.